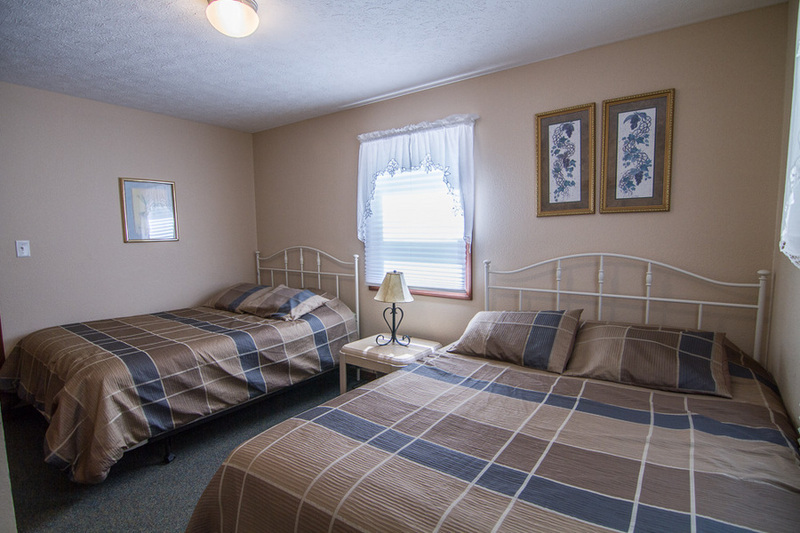 Deluxe Cabin 16 is similar to Cabin 5, but larger as it sleeps up to twelve people. 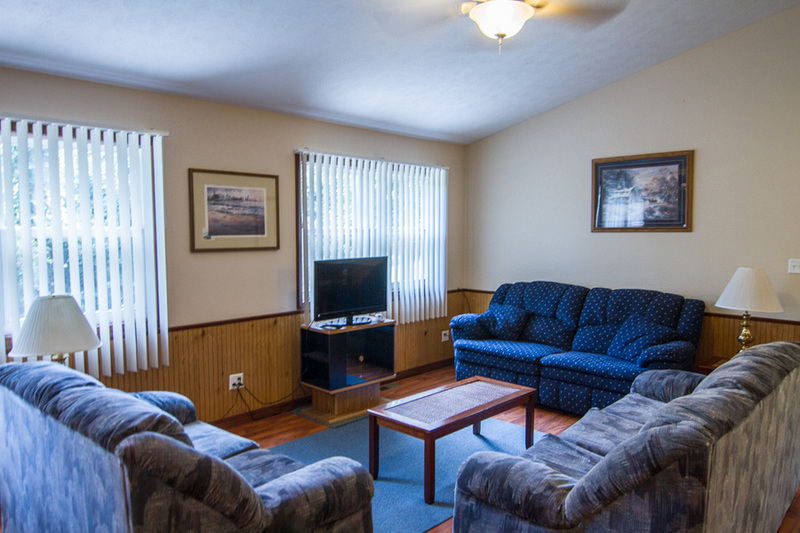 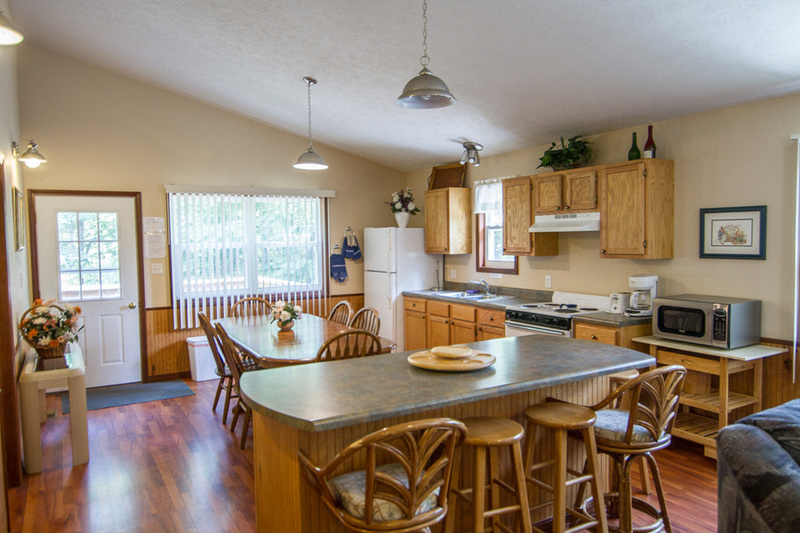 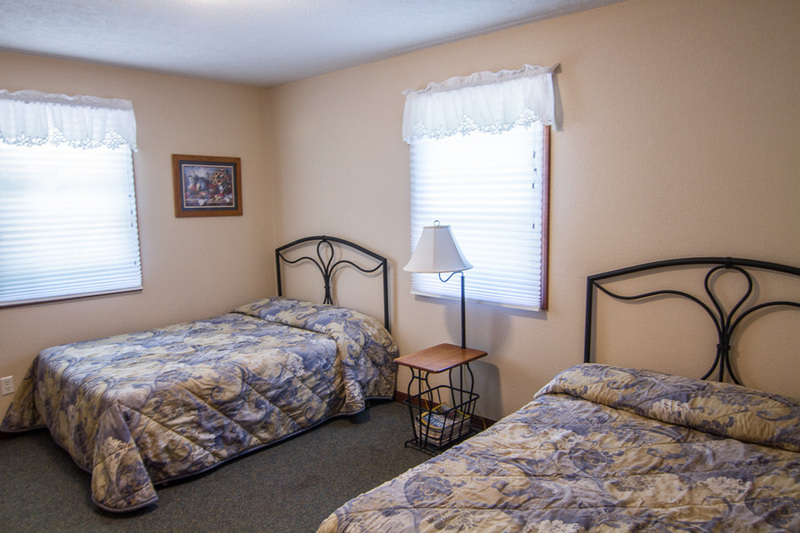 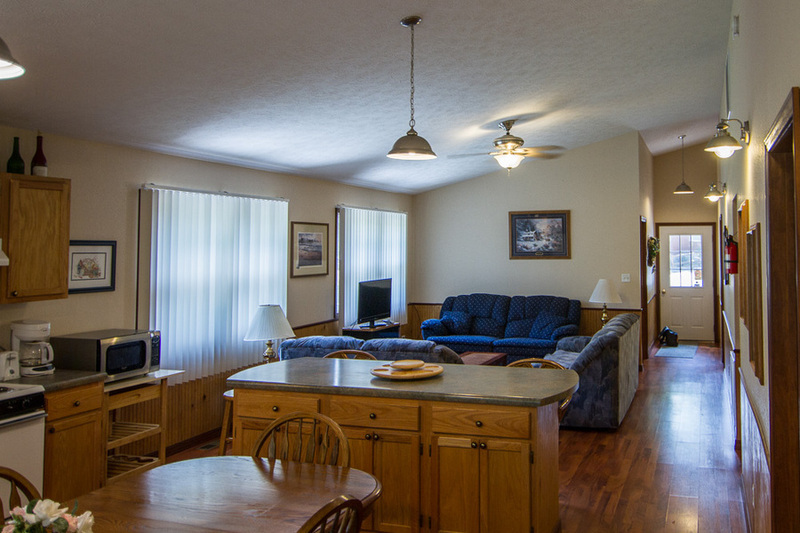 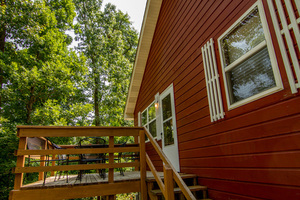 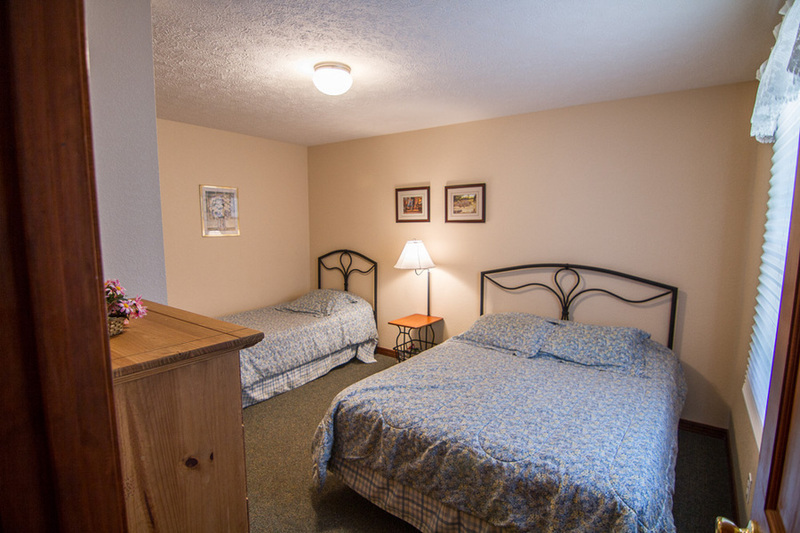 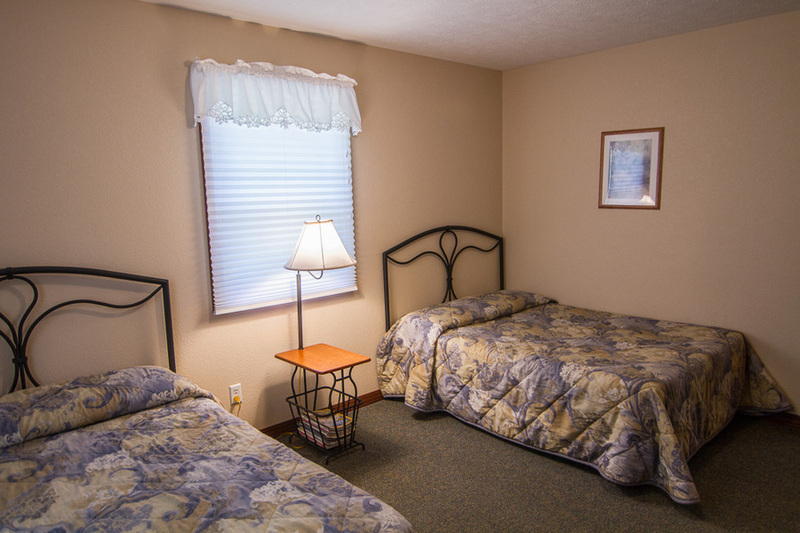 Designed for vacationers seeking deluxe lodging, Cabin 16 gives you the feeling of staying in your own vacation home. A large open floor plan unites the kitchen, breakfast island, and dining/living area allowing you to watch TV, visit, and prep meals all at the same time. A vaulted ceiling gives a light, open atmosphere. 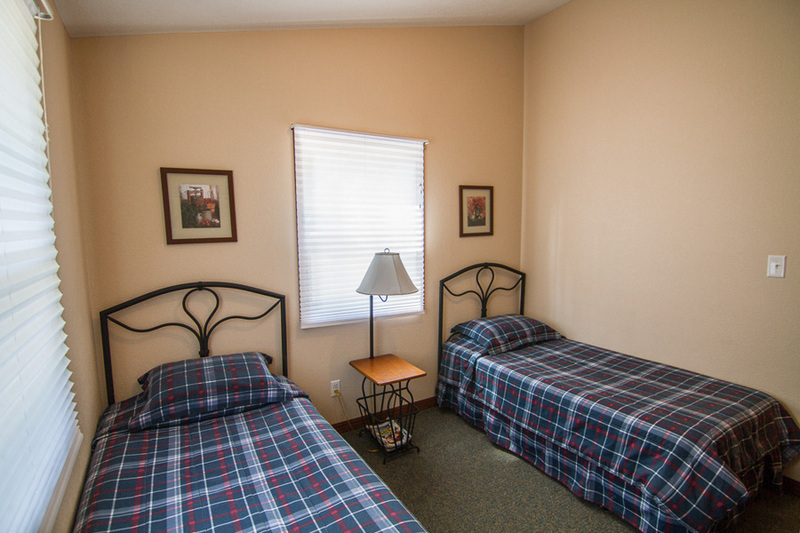 Central heat and air quietly keep you comfortable in any weather. 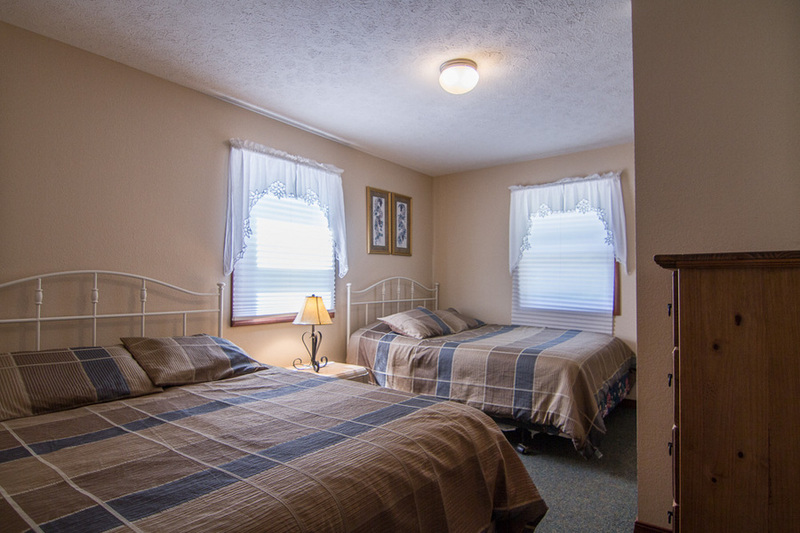 The four bedrooms sleep up to 12 persons in 2 queen beds, 2 double beds, a Queen & 1 twin bed, and 2 twin beds. 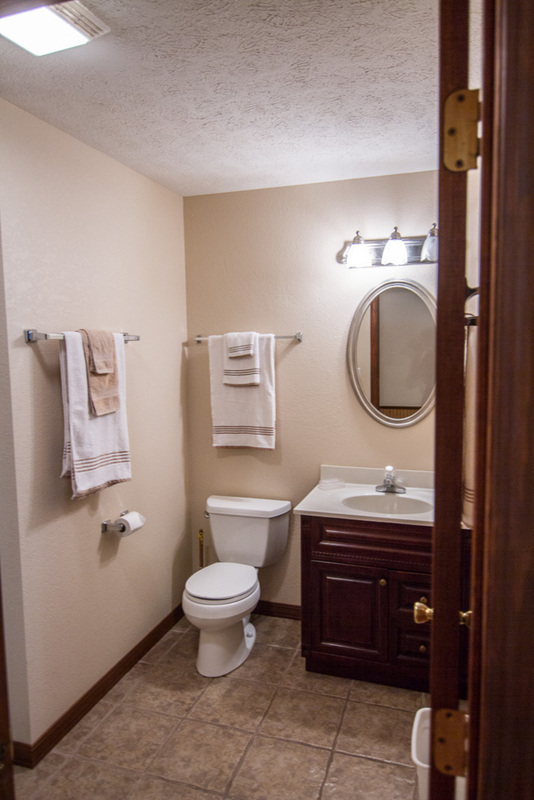 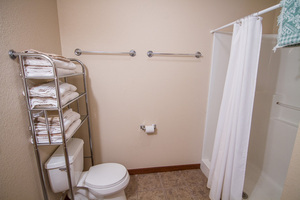 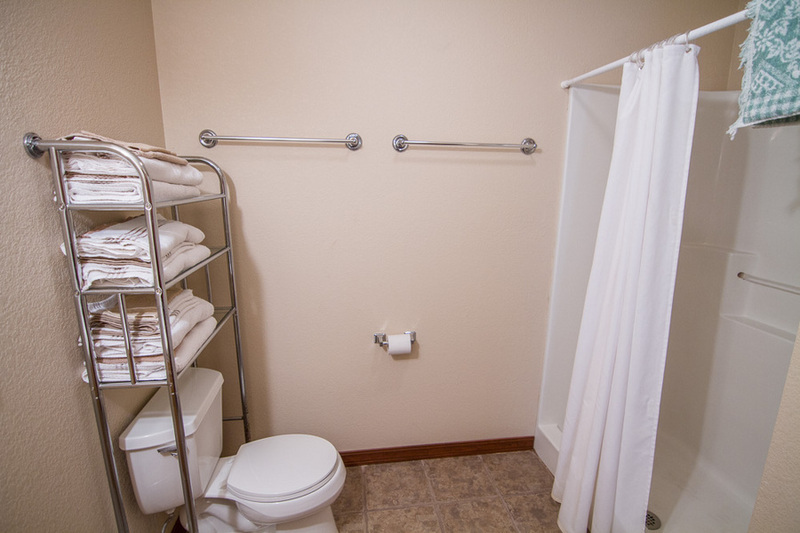 The large two full baths have roomy showers and generous size vanities. 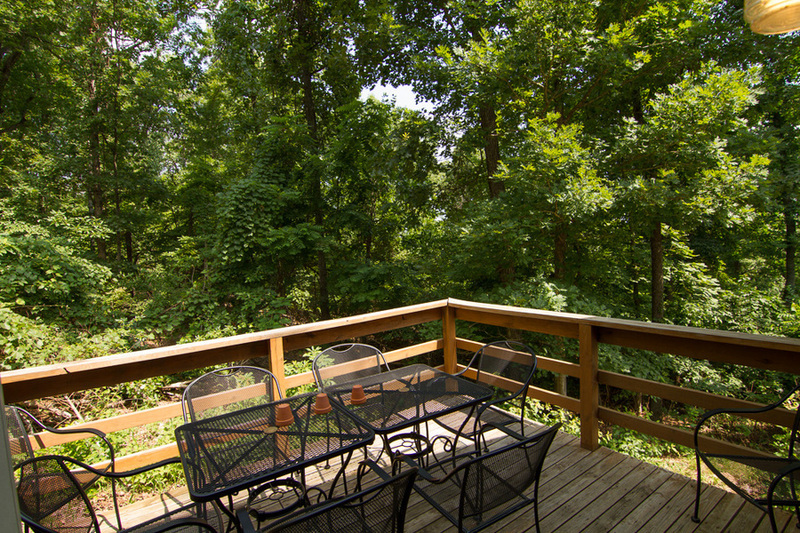 The deck is a walk-out from the kitchen and has patio furniture facing the woods. 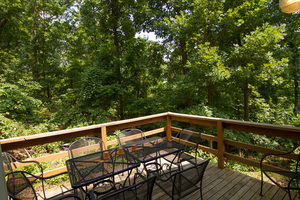 Many of our guests enjoy the deck as an excellent setting for evening cookouts. 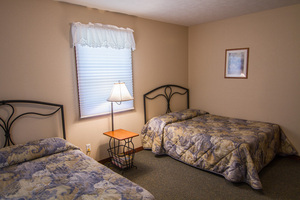 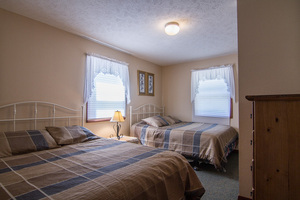 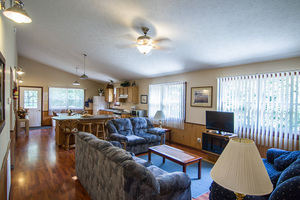 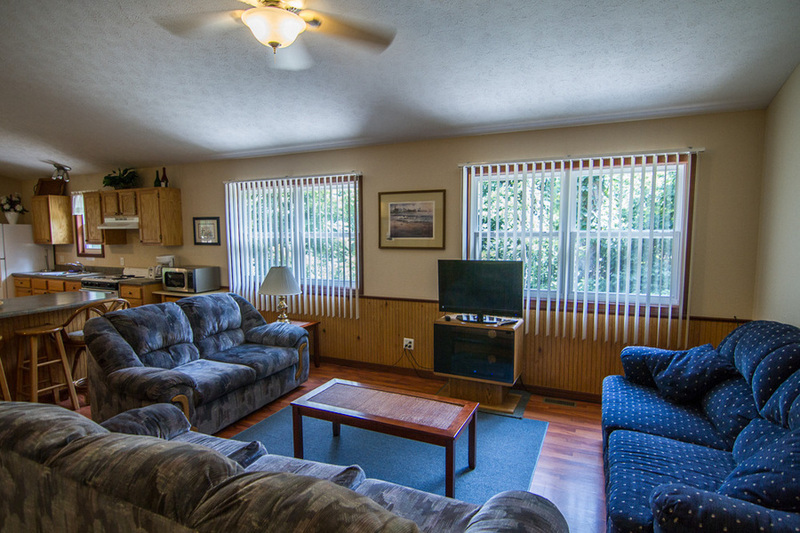 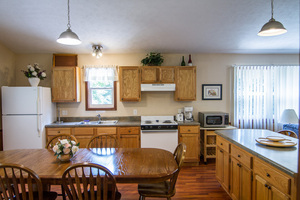 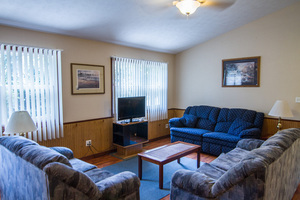 Furnishings include central electric air and heat, 100 channel HD Flat Screen satellite TV, a fully furnished kitchen with a microwave, a 30" wide four burner electric range with oven, refrigerator with separate freezer top, 4-slice toaster, drip coffee maker, cookware, and tableware. 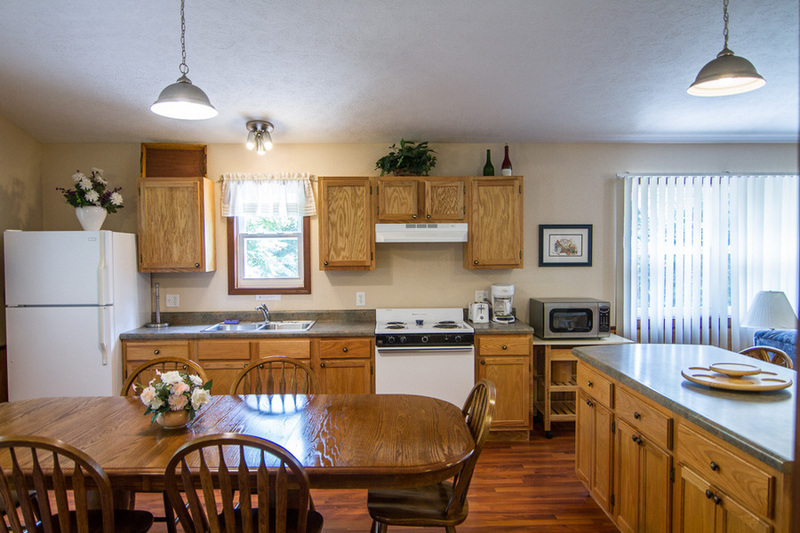 The dinette seats up to 8 adults; the breakfast bar seats four. 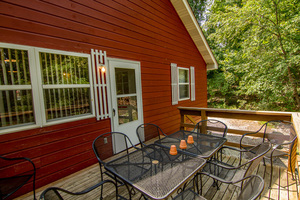 A BBQ kettle and picnic table are just outside the door. 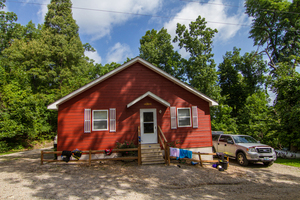 The parking lot has room for at least three vehicles. 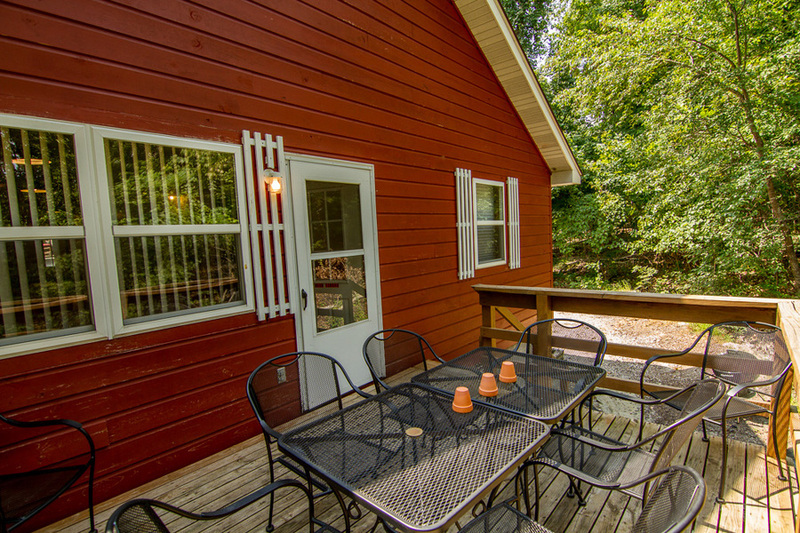 No pets allowed in Deluxe Cabin 16.